Show: All ManufacturersBSN MedicalCarex Health BrandsFLA OrthopedicsIsotonerNorth Coast Medical, Inc.
We'll Help You Find Carpal Tunnel Relief and More with our selection of Orthopedic Supports. 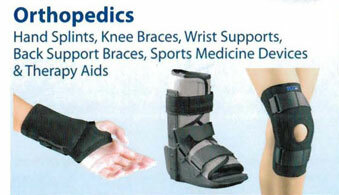 Like all of our products, our Orthopedic Supports and Braces are guaranteed to help you get on with your life. Use of these Orthopedic Supports and Braces will relieve pain, promote healing and help strengthen muscles in the effected area to provide a solid foundation for joints and bones. Life Solutions Plus is committed to providing the best products available for independent living at the lowest possible price. Shop our selection below!